Discussion in 'New member introductions' started by Brabus1408, Jun 6, 2017. Just saying hello to the forum community. 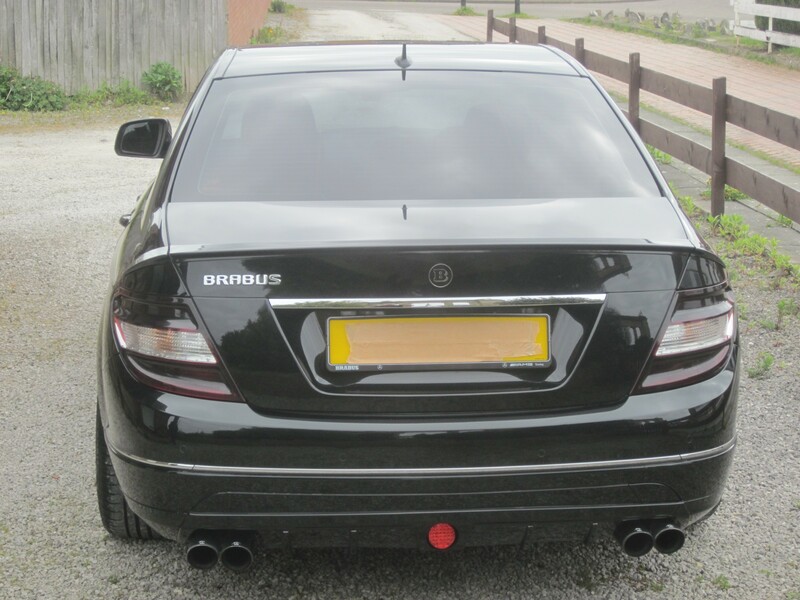 I own a Brabus-modified/re-mapped C-320 CDI, which I enjoy tweaking (and sometimes driving too, lol) on a regular basis! Anyway, thought I'd join up so I can shoot the breeze with you guys, share some experiences and learn some stuff, too. So looking forward to contributing. Welcome pal, car looks good! Cheers, Nick. It certainly gets me around with a smile on my face! What do you drive, mate? 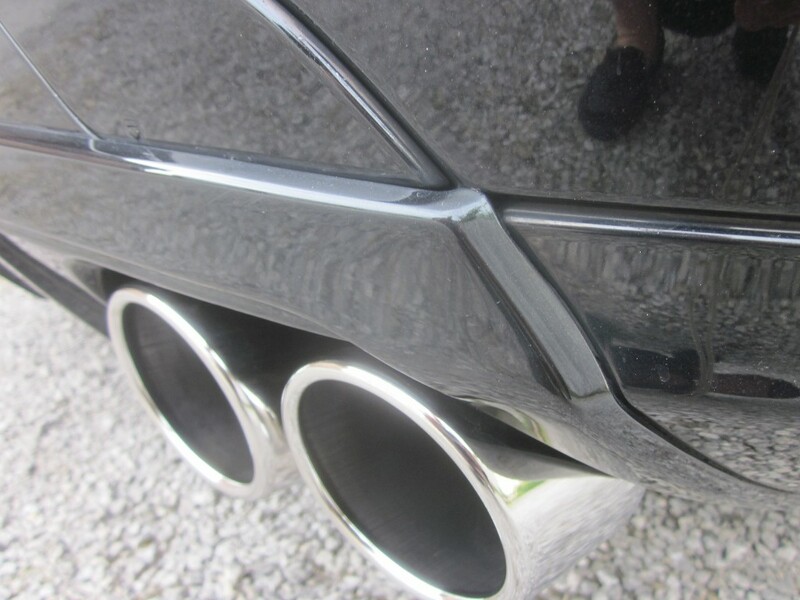 I was wondering what round, quad tailpipes would look like....looks great! Nice one, mate, what's your name? It's a wonder you haven't seen me around. The car does tend to get noticed, often for the wrong reasons, lol! Bet your AMG is gorgeous! 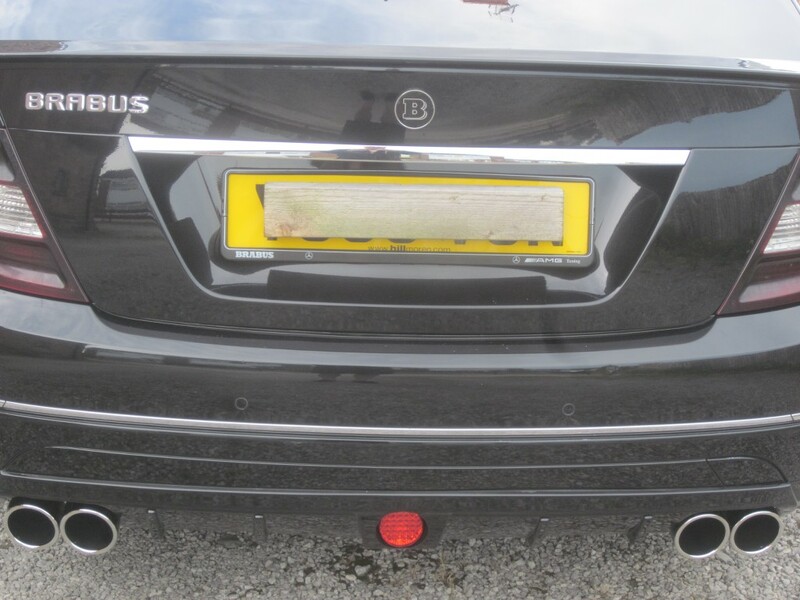 Yeah, the Longlife quad SS exhaust system/pipes looks cool and made a significant difference to both the looks (compared with the original Brabus ones), and also the tone of the engine, as the whole system was bespoke made for the car. He does Mercs and Audis, as well as BMWs. Kevin is really top-notch! Lol... I'm sure your car is lovely. Sometimes I wish mine looked a bit more sober too! 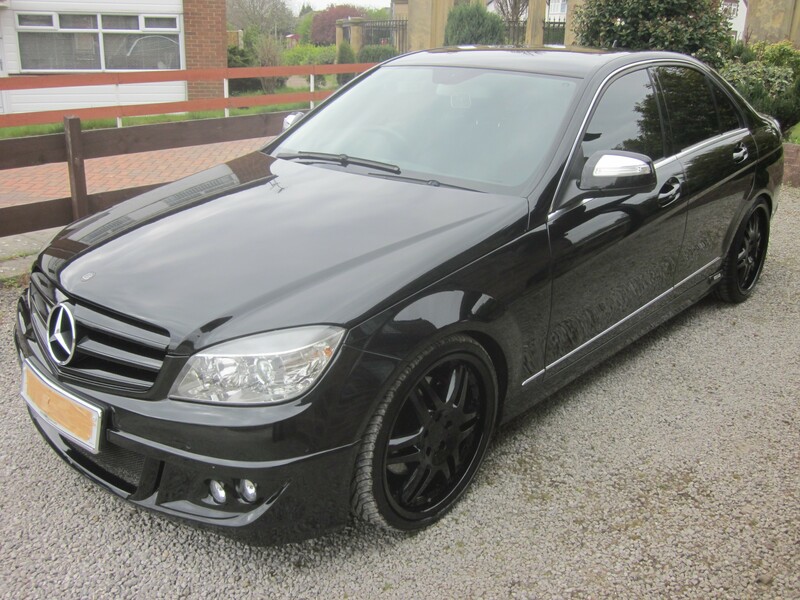 If I`d seen you I`d remember yours My C350 is ok...not mint like my previous car but it`ll do for now. Ha - you'd probably have heard it, Steve! It gets washed regularly at Charlies car wash, beside the Gresford roundabout, if you know where that is... Maybe you use it yourself? Yeah, makes sense not spending too much on your AMG, if you might not be keeping it long. The Brabster's been a wee bit pampered, lol. It's had all sorts done to it. I love driving it, as it goes like sh*t off a shovel! my kind of taste - stealth. What sort of power is this running at? Cheers. Stealth is also my bag. 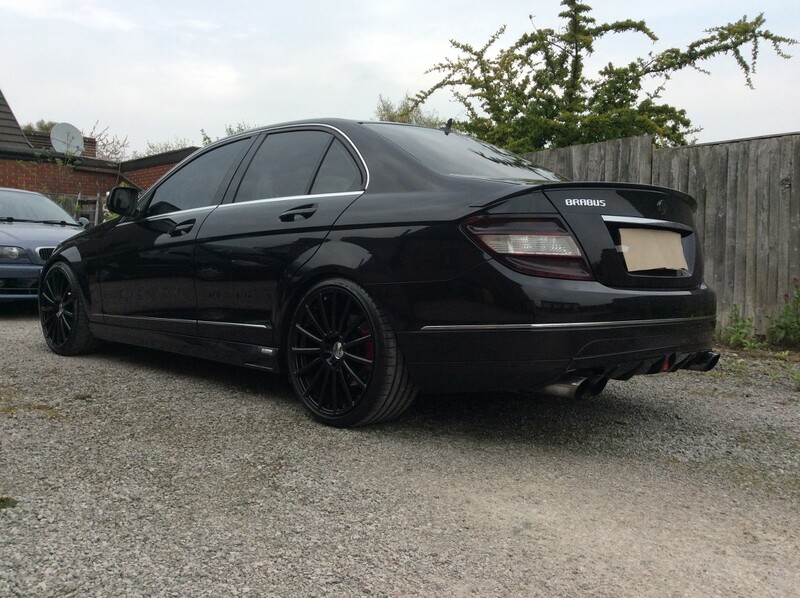 After I had the existing turbo fully professionally refurbed (new bearings, etc), DPF deleted, quad exhaust system fitted, and then a full sports remap (psi and injectors, gearbox maxed out, etc), it returned 320bhp and 510 ft lbs of torque. Car's looking good, as black always does when it's clean, just keeping it that way. Although not from N Wales myself, I'm often over in Rosset visiting friends, so will keep an eye out for it on my next trip. Not till July now though, real life has caught up. Welcome into the forum we've only one Welsh guy on the map at the minute. Maybe we should organise a run across the Horseshoe pass as a meet. - I don't live in Wrexham, but I did used to live near Mold. Obviously if you know of better driving roads in the area, make the suggestion. - My experience is that the Ponderosa Café gets busy, and if you're following bikes you can enjoy the drive but it's really easy to get stuck behind someone slow in a car. Cheers. Seems a really friendly place! I know what you mean - I'd never go near the ones in petrol stations, with those high-speed spinning nylon brushes, which completely ruin your paintwork, but at Charlies your car is 100% hand-washed and then finally hand-dried (after a quick spin through the electric drying machine). 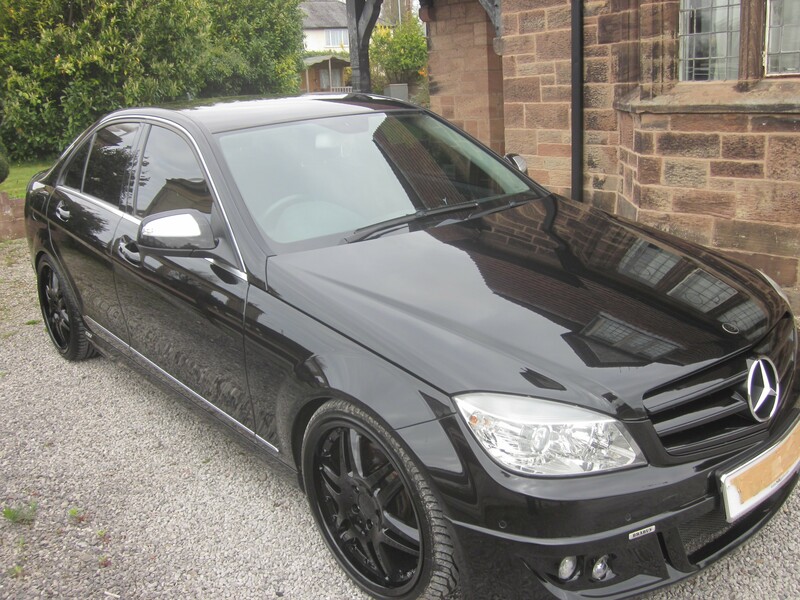 Plus, since I've had the car detailed, I always bypass the pre-wash spray, the chemicals in which dull the paintwork, and the guys there always do a really good job, so I've no complaints - and you can see how my car looks! Ah I see, still a nice car, though!